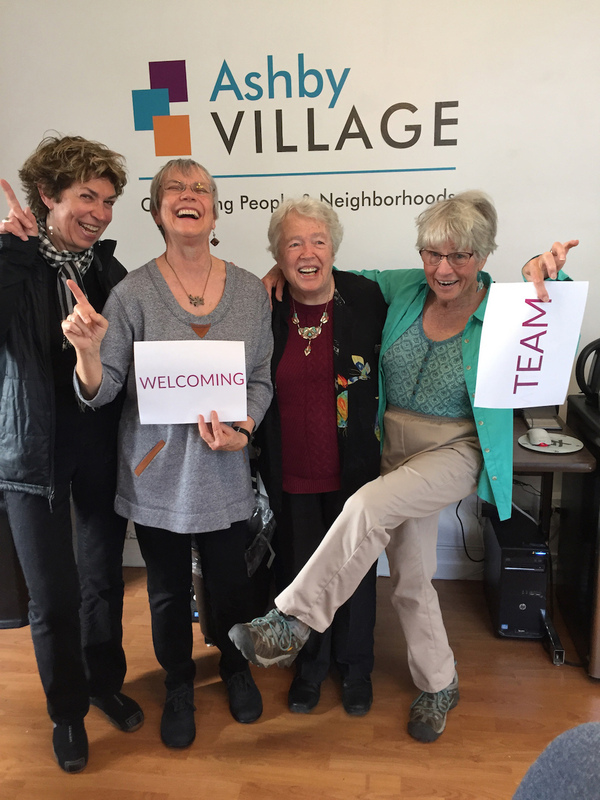 Today, a team of five enthusiastic member volunteers—Audre Newman, Liz Raymer, Barbi Jo Stim, Mairin Malarka-Meyer, and Kathy Barrows- is dedicated to the significant role of reaching out to new members to help them find a meaningful place in the Ashby Village community. “I believe in the importance of community.” Especially as we age and our life circumstances change, we need to keep up old friendships and make new ones with people who share common interests. The Welcome Team represents the first step of engagement with new members. Our role is to answer questions and go over the basics in the personalized welcome packet, things like how to make a service request, find out about activities, use the website and connect with neighborhood groups. And, of course, we encourage them to become volunteers themselves (as half our members are also volunteers). Afterwards we make follow-up calls to make sure new members are getting their needs met.